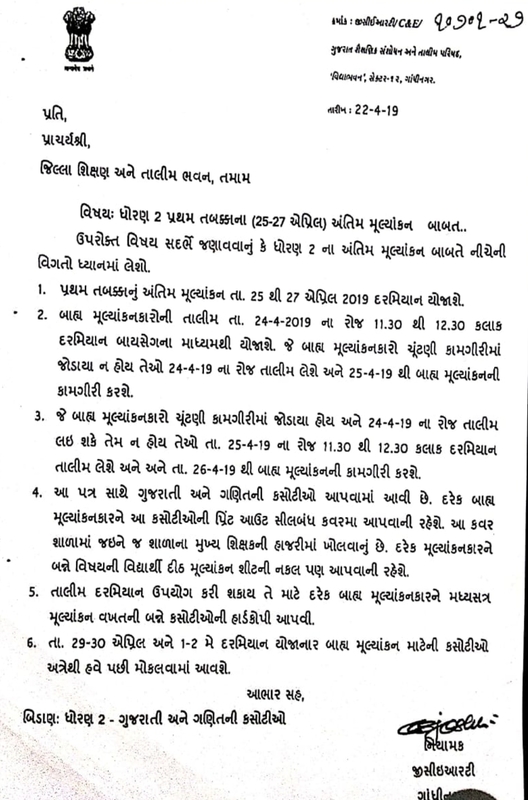 STD 2 UPCHARATMAK SHIXAN KAMGIRI MULYANKAN BABAT PARIPATRA DATE-22-4-2019. 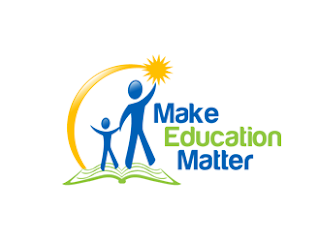 STD-3 TO 8 PARINAM PATRAK EXCEL FILE DOWNLOAD KARO- USEFUL FOR ALL SCHOOL AND TEACHER. PARINAM STD-3 DOWNLOAD CLICK HERE. PARINAM STD-4 DOWNLOAD CLICK HERE. PARINAM STD- 5 NON PRAGNA DOWNLOAD CLICK HERE. PARINAM STD- 6-7 DOWNLOAD CLICK HERE. PARINAM STD-8 DOWNLOAD CLICK HERE. PAGE -1 VIEW CLICK HERE. PAGE -2 VIEW CLICK HERE. 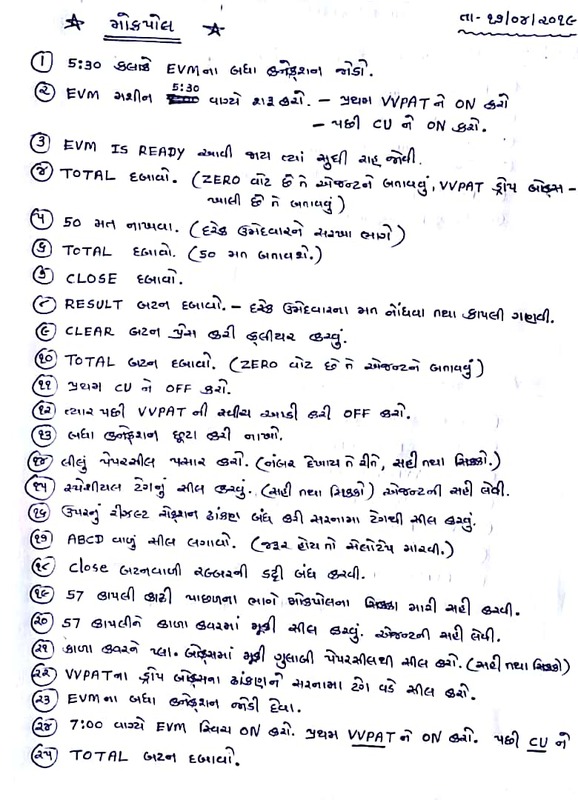 STD-2 UPCHARATMAK SHIXAN KAMGIRI NA MULYANKAN BABAT PARIPATRA DATE- 20-4-2019. 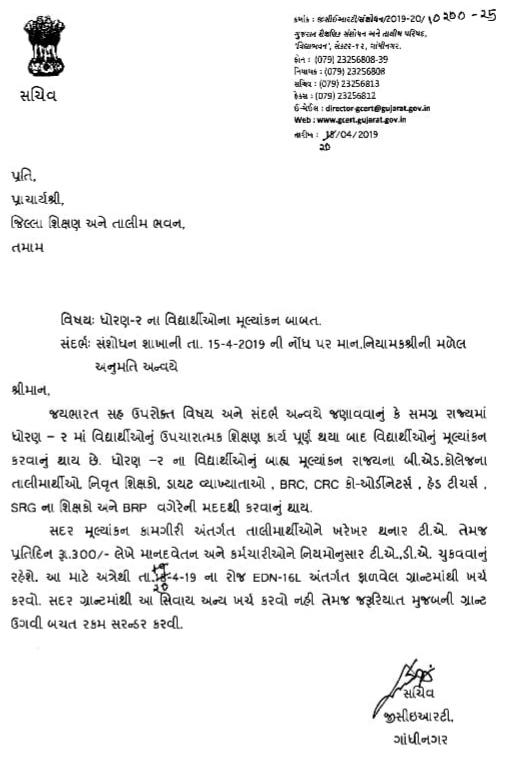 All DIET principals are requested to prepare a plan for external evaluation std.2. Phase 1 April 25-28, April 2-30-30 and in the second phase. Phase 3. 1-2 May. The question paper will be provided separately, same as on your personal email ID. 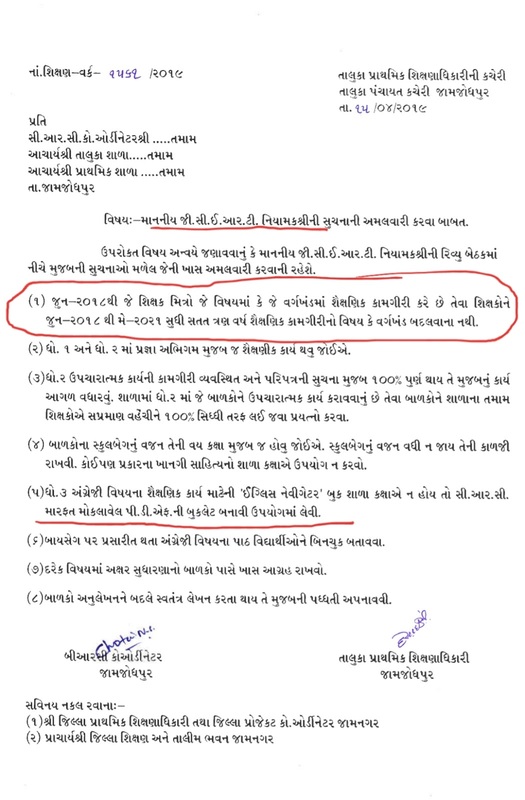 JAMNAGAR JAMJODHPUR TALUKA NO LETTER VANCHVA LAYAK- GCERT NIYAMAK SRI NI SUCHANA BABAT DATE- 15-4-2019.